I remember the 1976 Montreal Olympics. I remember so much about that year: our country’s bicentennial. There were special quarters minted. Dorothy Hamill won gold in the Winter Olympics, prompting me and countless other girls to get that unfortunate haircut that seemed to work for Dorothy alone. On July 4th, my family went to New York City to witness the spectacular and majestic Parade of Ships as part of Operation Sail on the Hudson River. I remember that year because it was our country’s big birthday. I was just a young kid and it was exciting and special. The amazing athlete that we now know as Caitlyn Jenner was an integral part of that summer. I remember being in awe of all the events of the Olympic Decathlon. The gold medals. The arms-raised victory lap. The flag. The Wheaties box. There was a swelling of pride that summer and in the center was America’s handsome, golden athlete. A symbol of our greatness as a nation, Jenner was a winner and so were all Americans. So when Jenner decided to affirm herself this year, it caused quite a stir. I watched her interview with Diane Sawyer once again in awe – of her honesty, her courage, her wanting to get it right and do the best she could for herself, her family and the trans community. She seemed solid in her understanding of herself, yet so unsure of her role, moving forward, as the world’s most famous trans person. She seemed both strong and vulnerable. I found her charming and I got it. Those conflicting emotions rung true to me. The media was kind. All of the articles that popped up on my newspage were positive and supportive. It felt like Caitlyn was a reluctant trailblazer and she was going to open doors and minds for the rest of us on an unconventional gender journey. I was excited. Here was a beloved icon, coming forward as trans. I imagined her platform as a public figure would do more than just raise awareness. I thought it would raise acceptance. Then I read the comments. Oh, the comments. It’s where all the hate is revealed. The anger, the fear, the rage at trans people. I read so many comments that were unimaginably ugly and vicious. This has not been our personal experience as a family and I was surprised. The irrational quality frightened me. It was a dose a reality. We have had so much support as a family through E’s experience, but some of these same supportive people came down on Caitlyn. It was particularly bothersome to them that she was associated with the Kardashians. I admit, I’ve never seen their show and have no real opinion about them. But clearly their particular brand of spotlight-seeking bothers people. It made them angry that she had access to surgery that others don’t. She won the Arthur Ashe Courage Award at the ESPYs and that pissed people off too. She is distasteful in a generalized way that has people shaking their heads, and twisting their faces into a confused and sour scowl. An expression that says: Just. No. Sigh. I’ve been trying to sort this out in my mind ever since. In the end, I think I’m seeing the complexity in this situation, as it is in so many things in life, especially trans life. Ultimately, I believe that Caitlyn Jenner brings to the table a potential for greater understanding and tolerance. I am so grateful to her for that, that her decision to live honestly and out-loud could make the road smoother for my child and all those like him. It may just take time for people to look beyond the limitations of how they imagine her to be – “Kardashian” or “reality star” and see her for who she is, a human being trying to live the best life she can. 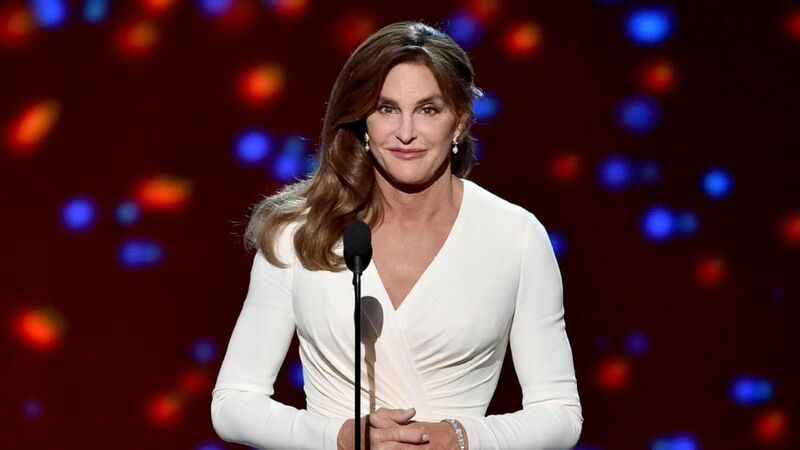 To watch Caitlyn Jenner’s ESPY speech, click here.